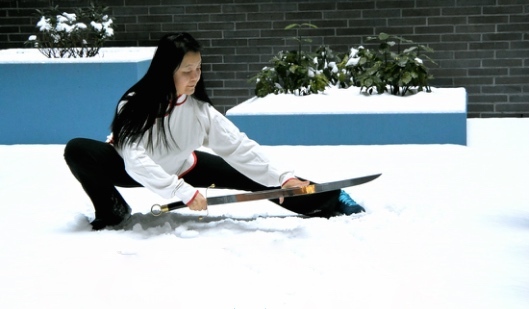 Thursdays, 6pm-7pm @ 217 Centre St.
Saturdays, 11:30am - 12:30pm @ 18 W. 18th St.
Unparalleled Classical Northern Wu Style Tai Chi Saber. We welcome everyone join the practice! All year around Tai Chi Weapon's classes at the Wu Tang PCA. A weekend workshop in Darmstadt, Germany. April 29 - May 1, 2016. 2016 Summer Retreat - July 22 - 26, New York City.